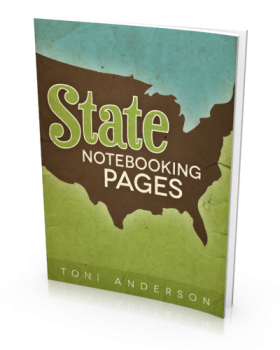 This free eBook of State Notebooking Pages is from The Happy Housewife. The first page of the eBook includes a generic form that can be used for all 50 states if you want your child to draw each state. The remaining pages (one for each state) include an outline of each state on the bottom part of the page for students to color and/or label.